Laser resurfacing is safer and more effective than dermabrasion or chemical peeling and has wide applications. 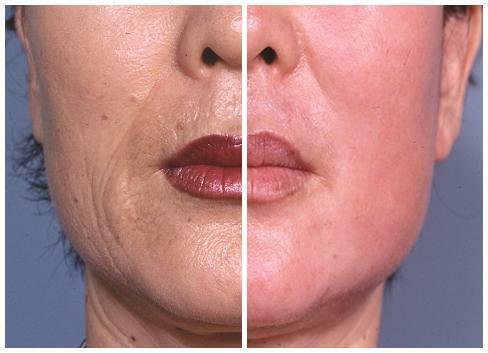 Laser resurfacing often brings drastic improvements in scar or facial wrinkle removal. Professor Park Seungha, the bestselling author or ‘Laser Plastic Surgery’ is an expert in laser resurfacing in Korea. Prof. Park is working hard to promote positive image of laser treatments in patients through education on correct use of laser. With this article, Prof. Park intends to share his extensive experience in laser resurfacing technology with our readers. This article will provide helpful tips to plastic surgeons who perform laser resurfacing procedures. The first time I witnessed the procedure of facial laser resurfacing was when I visited Dr. Fitzpatrick’s clinic in La Jolla, California in 1995. The CO₂laser (Ultrapulse), which wasprohibitively expensive at the time was first introduced in the university hospital which opened the era of laser resurfacing in Korea. Before this I had only witnessed laser resurfacing on videos but watching the procedure in person witnessing the subsequent effect made me trust. Laser did not have a very positive public image in the past. 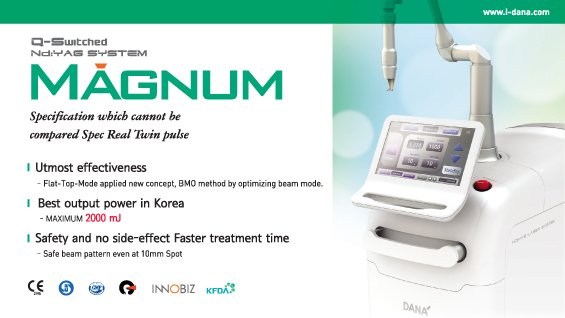 The Argon laser that was introduced in Korea in the 80s was effective against nevus or mole removal but also caused depigmentation or scar and was not in high demand despite its novelty. During my trainee days, my professor used dermabrasion with low conviction on patients with smallpox scars and often warned us that any dermatologist with a good track record could suffer a major career setback with one mistake with this procedure. Dermabrasion caused a lot of bleeding as it surgically removes the skin layer. The patient suffered a lot of pain as the blood clots and crusts remained after the procedure, not to mention the rather unappealing and sickly appearance of the face post-procedure. Patients with flame burn in the face often visited the plastic surgery clinic. I could see that during the course of the treatment, their skin first developed blisters and redness, but in about a week, the recovered skin was cleaner, more elastic and free from blemishes than the pre-burn skin. This not only pleased the patient and his or her caretaker but many doctors would have thought if they could burn the skin just enough to cause this kind of recovery, they would bring back magically clean and rejuvenated skin. Laser resurfacing uses adjusted burning of the skin to give rejuvenating and clarifying effect. I have been performing laser resurfacing since the mid-90s and held several symposia on laser resurfacing at our hospital to educate Korean doctors the benefits of the procedure. I also performed live surgery to allow real time observation of the procedure in the operation room as they do in the US. However, a more than expected number of people signed up for the observation and we had to air part of the procedure on a screen in the auditorium. At the time, laser resurfacing was a new field and a lot of the professionals related with this field were greatly interested in the live surgery presentation which was a rare occasion in Korea. A patient of mine who received the laser resurfacing on the entire face about 10 years ago came back recently for a repeat procedure. This patient received the same procedure from other clinics but the effect was not as good as 10 years ago and wanted to get the same procedure. She said she recommended the laser resurfacing procedure to those around her. Immediately after getting laser resurfacing and before the skin recovers, the face still has red splotches. This may give people a negative idea about laser. However, if you wait 2-3 months after the procedure you can see a dramatic improvement of the skin. Chemical peeling was once popular as it was believed to rejuvenate and clarify the skin. Chemical peeling was actually performed centuries ago in Europe as a secret treatment and disappeared over time. Some had positive results, however, it was not a safe procedure at the time and resulted in horrible scars and serious sequelae in some cases. Peeling involves removal of the outer layer of the skin to allow skin regeneration by skin appendages. Just like the onion, the skin resurfaces in the same way regardless of how many times the outer layer is removed. The most important principle in peeling is to maintain the appropriate depth of removal. If one fails to do so, skin regeneration is not obtained and irreversible scar may result. I once watched a movie titled ‘Faceless.’ Most people would have found this movie rather unrealistic and farfetched but as a plastic surgeon, I could relate to the story and it left quite a lasting impression on me. The main character was a plastic surgeon who ran a famous rejuvenation clinic in Paris. He brought youthful energy back to elderly patients and applied secret substance on their faces to make them appear younger. He makes a mistake with one female patient and turns her face into a large lump of scar tissue. The aggravated female patient decides to take a revenge on him, and pours hydrochloric acid on his younger sister’s face making her horribly disfigured. In this story, the magical substance that the doctor applied on his patients’ faces, could be comparable to chemical peel. To treat his sister’s face, he kidnaps a young woman at night and transplants her healthy skin to his sister’s face. He performs total facial skin graft just as in the movie ‘Face Off’. However, the patient’s body keeps rejecting the graft and the doctor brings in a German doctor who’s an expert in in vivo experiments. He continues to try facial graft on his sister, however, his efforts keep failing. The plastic surgeon murders the young women whom he kidnaps and uses their blood to inject into elderly patients for rejuvenation effect. Finally, he gets arrested by the police who have been investigating a case of serial kidnapping and murder. This movie dealt with rejuvenation therapy, chemical peeling, sequalae of chemical peel, facial graft and graft rejection, which were all pertinent topics in plastic surgery. Whenever I hear of chemical peeling, I think of this movie. The most important aspect of peeling is adjusting the depth of penetration as the facial skin has differing thickness depending on the area. The thinnest skin is the eyelids and the skin in the neck is also thinner than one might expect. The thickness of the skin is determined by the thickness of the dermis rather than epidermis. The thickness of epidermis varies from 0.11mm at the thinnest to 0.15mm in thicker regions. The thickness of dermis is about 0.2mm in the eyelid and neck and 1.0~1.5mm in the forehead and cheek. Including the hypodermis, thin skin is about 0.5mm and thick skin is around 2.0mm in depth. The eyelid and neck where the dermis is thin and thus more susceptible to have problems after chemical peeling have less pilosebaseous units which are dermal appendanges that regenerate the skin. Deep peeling in these regions results in scars without achieving skin regeneration. As the eyelid and neck have thin skin, dermabrasion is dangerous and can cause the skin to roll in. In these areas, chemical peeling is not suitable as it could create irreversible scar. On the contrary, laser resurfacing can adjust penetration depth with laser output and can perform peeling in weaker skins with optimal depth. In laser resurfacing, as the irradiation depth is maintained at 0.2mm~0.5mm, it is safe and can be performed with desired depth. As it is safe and unlikely to leave scars, it can be used to perform deep penetration peeling as well. When irradiated on the skin, the laser coagulates the capillaries and lymph nodes minimizing bleeding and edema. It also blocks nerve endings thereby causing little pain after the procedure. There is also none of the bleeding or edema that often follow dermabrasion and the patient feels more comfortable during the procedure. Chemical peel results in thick crusts on the skin and the penetration depth can be measured only when the thick crusts come off. The depth varies depending on the concentration of the peeling agent, number and force of rubbing and existence of additives. In general, chemical peeling is suitable as mild skin scaling or esthetic care of the skin, however, is riskier as a deeper form of peeling. Laser resurfacing allows a markedly safer and simpler procedure compared to chemical peeling and has excellent rejuvenating effect. Thus, it has a wide variety of applications in esthetic treatment of the skin. Laser resurfacing treats skin diseases through the principle of skin rejuvenation and brings marked improvement of wrinkle, elasticity, and scar removal, etc. With accurate understanding of the principle, indications and contraindications of laser resurfacing as well as pre- and post-procedural skin care methods, it can be used to bring satisfactory results for both patients and doctors.